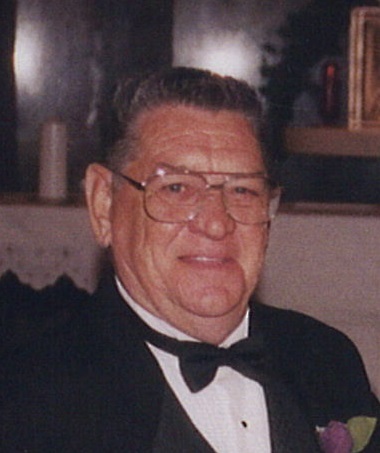 Ray Dean Noe, 79, of Farlington, Kansas passed away at 7:50 a.m., Wednesday, March 13, 2019, in the Medicalodge of Girard. He was in failing health for 6 weeks. Dean was born May 28, 1939 in Pittsburg, a son of Harvey A. (Pete) and Enid (Rae) Noe. He attended Girard schools before entering the US Marines. He later served in the US Navy from 1958 until 1961. On October 20, 1972, Dean and Betty J. Westhoff were united in marriage at Miami, Oklahoma. She survives of the home. Dean worked in Wichita as an ironworker in construction. He enjoyed fishing, hunting, playing cards, and reading westerns. Dean was a member of the American Legion Post No. 35, Cherokee, Kansas, the Legion Riders, the Girard Masonic Lodge No. 93 AF & AM, and the Veterans of Foreign Wars Post No. 1372, Columbus, Kansas. Survivors, in addition to his wife, Betty, of the home, are his daughters, Mona M. Coffman, and her husband, David, of Ottawa, Kansas and Tracy K. Sinkovic, and her husband, Geoff, of Girard; his son, Ty D. Noe, and his wife, Candrice, of Wentzville, Missouri; four grandchildren; his brother, Walter Noe of Radley, Kansas; his sisters, Barbara Richardson of Florida and Sue Noe of Burlingame, Kansas. He was preceded in death by a granddaughter, Tori Kay Sinkovic, on May 11, 2017; 2 sisters and 4 brothers. Funeral services will be at 11 a.m., Monday at the Smith-Carson-Wall Funeral Home of Girard with the Girard Masonic Lodge officiating. Burial will be in the Farlington Cemetery with Military Honors conducted by the Brown-Bishop Post No. 704, Veterans of Foreign Wars, Parsons, Kansas. The family will receive friends from 6 until 8 p.m., Sunday at the Smith-Carson-Wall Funeral Home where friends may call after 2 p.m., Sunday.